WHAT CA– USES WRIST PAIN? Wrist pain can be caused by a number of different ailments, ranging from injury to chronic medical conditions. Not only can continued wrist pain impact a person’s ability to earn a living, it can also dramatically reduce one’s quality of life. Below is some useful information about the potential causes of wrist pain and the treatment options available. Arthritis can impact many areas of the body, but it is especially damaging when the afflicted area happens to be the wrist. Because arthritis worsens over time, a person may eventually be unable to perform everyday tasks, such as preparing meals. The good news is that wrist pain caused by arthritis is treatable with the help of a pain management specialist. 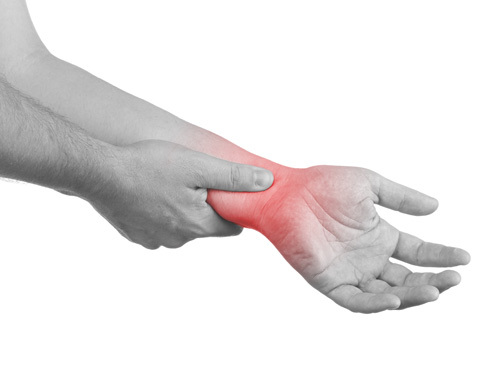 There are two different categories of injuries which can cause pain to the wrist. Sudden impacts are injuries where there is an unexpected trauma to the wrist, such as during a fall. The other type is repetitive stress injuries, which are caused by repetitive motion of the wrist over a long period of time. There are many other conditions that can also affect the wrist. Carpal tunnel is a well-known condition that occurs when there is increased pressure to the delicate nerves within the wrist. More uncommon conditions, such as bone disorders and cysts, have also been known to cause discomfort. Knowing the cause of your wrist pain is the first step to treating it. Treatments can range from stretching and massage to injections and surgery, depending on the severity of the issue. In most cases, wrist pain sufferers can get the relief they need to get back to leading a more fulfilling life by visiting with a pain management doctor. For additional information about the causes of wrist pain or to learn about the treatment options available at Summa Pain Care, call 623.776.8686 today.